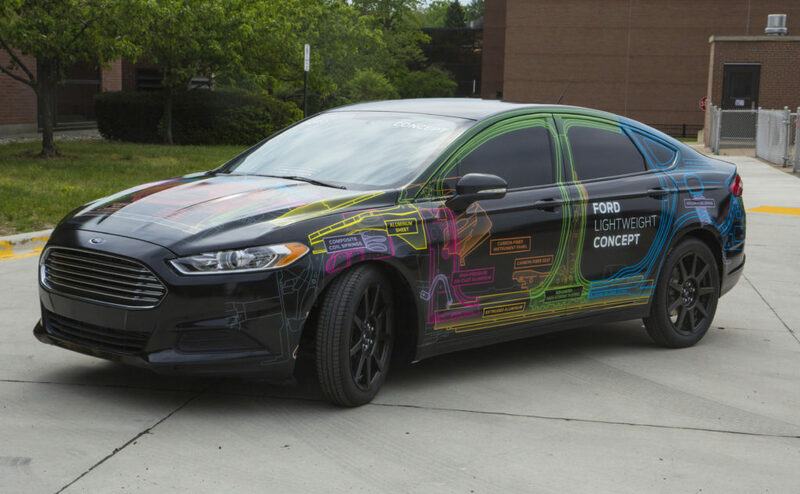 Ford will donate $5 million and become the first automotive OEM announced at the top membership level for the Institute for Advanced Composites Manufacturing Innovation, the institute announced Friday. Honda, Volkswagen and 3-D printed car manufacturer Local Motors have joined the Composites Institute at the $1 million premium level. The institute is a joint project of such private partners, the University of Tennessee and the U.S. Department of Energy. 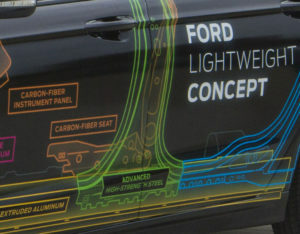 “Ford has a proven track record for success in recent automotive advancements—by implementing lightweight materials such as carbon fiber and aluminum to reduce vehicle weight,” institute CEO Craig Blue said in a statement. “We are proud to partner with a global, forward-thinking innovator to continue an impactful trajectory in the automotive and manufacturing industry. Ford received a seat on the institute board, naming its technical leader for composites Patrick Blanchard to the post. Other charter members include DowAska, with whom Ford had already announced an institute partnership in 2015, 3M, Lockheed Martin and Dassasult Systemes. Collision repairers seeking more information about carbon fiber should attend “Advanced Vehicle Materials, Construction and Repair Considerations” with Mark Voss of General Motors and Frank V. Billotto of Dow Automotive. The session is part of the Society of Collision Repair Specialists’ Repairer Driven Education Series from Nov. 1-4 during SEMA. Register here. “In line with our Sustainability strategy, our goal is to work with the entire vehicle supply chain to improve fuel economy and reduce emissions through the use of advanced composites,” Blanchard said in a statement. Any solid fiber will work in a composite, depending on what properties you need; Ford drew attention in July by announcing it would partner with Jose Cuervo to investigate car parts made out of agave byproducts from Cuervo’s tequila production. Ford at that point said it was considering “vehicle interior and exterior components such as wiring harnesses, HVAC units and storage bins” made of the plant fibers. In 2014, it also worked on a concept Fusion that it had lightweighted to the mass of a Fiesta; that project also involved the Department of Energy and Magna subsidiary Cosma. One item to consider: a composite bed for the Ford F-150? Chevrolet earlier this year took a shot at Ford by dumping blocks and a toolbox into an unlined F-150 bed, and Honda followed up by showing how tough its composite fiberglass Ridgeline bed (particularly one dyed completely black to conceal scratches) could be.